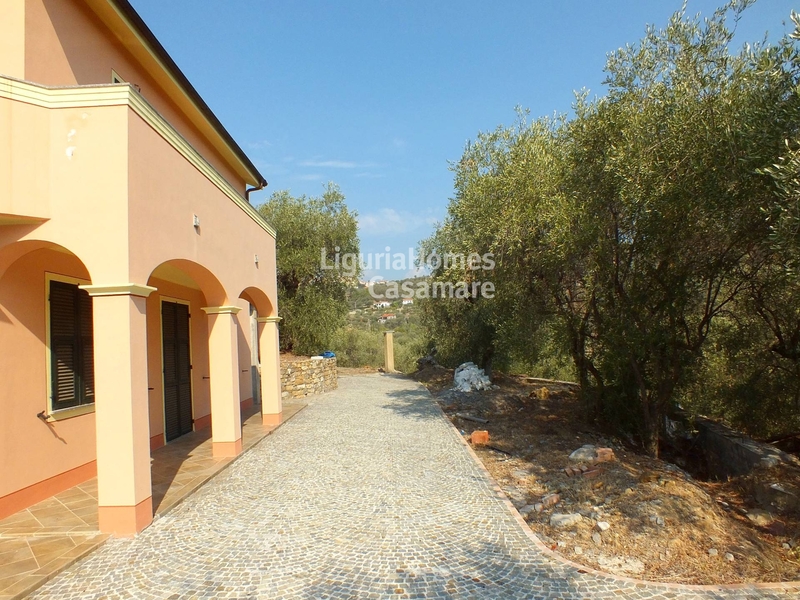 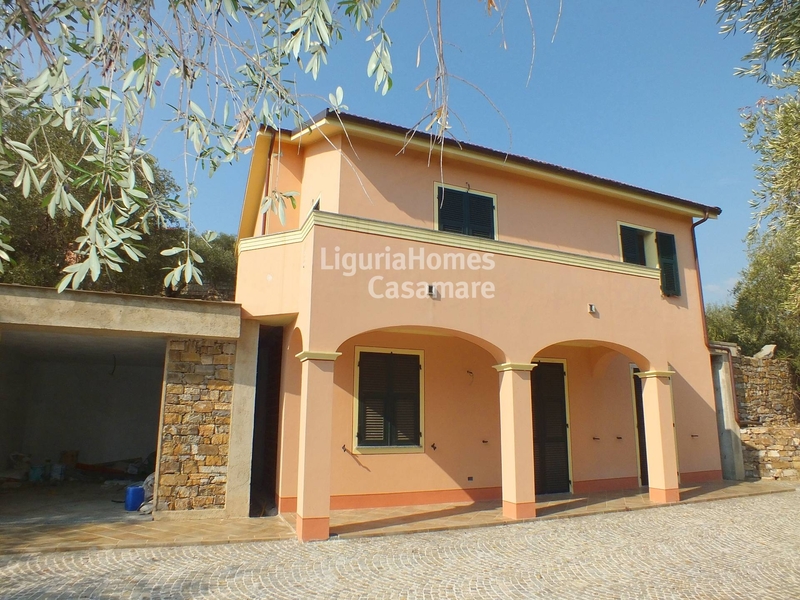 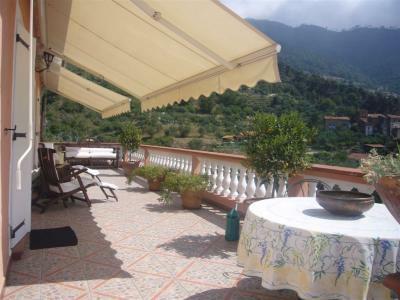 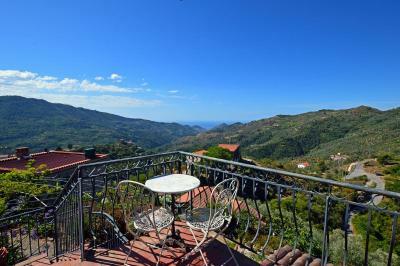 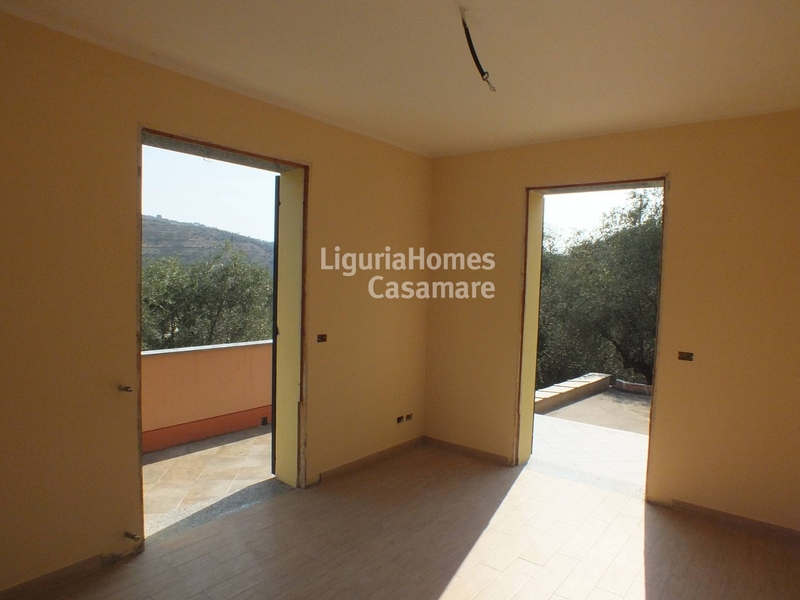 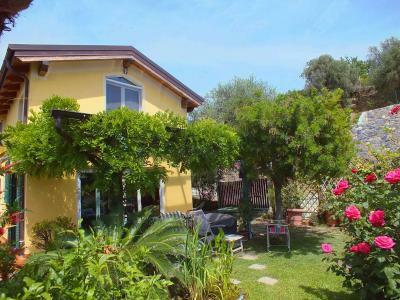 Just 2 km far away from the beaches of San Lorenzo al Mare new Villa for Sale. 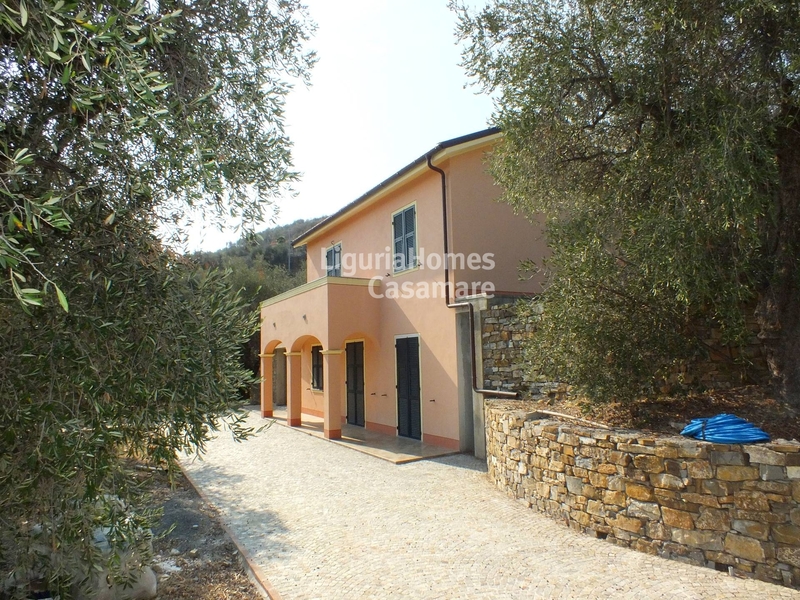 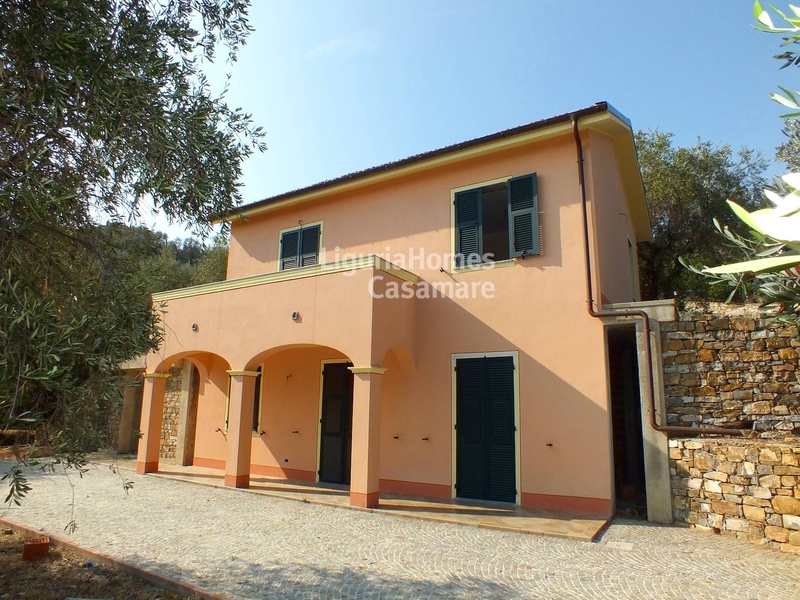 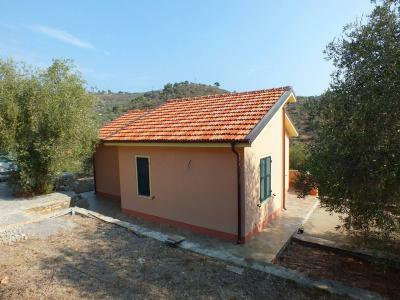 The new Villa for Sale in Civezza is easily accessible and It is in a quiet and reserved area. 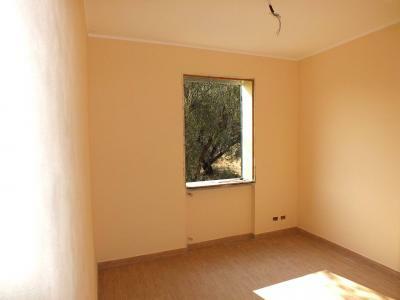 From any room in the Villa, and by the generous outdoor space, you have a nice view on the many olive trees that characterize the area and make it particularly relaxing and peaceful. 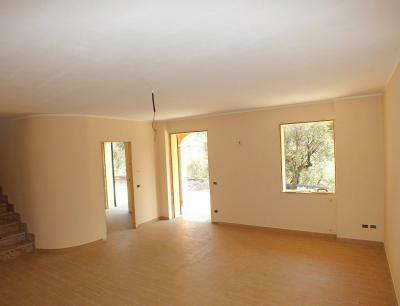 on the ground floor there is the living area consisting of a spacious living room with outlet on a large paved area, a separate kitchen and a bathroom. The new Villa in Civezza is characterized by 900 m² of outdoor space well divided between green and paved surfaces, a large garage and has a chance to build a swimming pool.